The Young Architects Program (YAP), is an annual competition hosted by The Museum of Modern Art and MoMA PS1 that fosters innovative architecture. 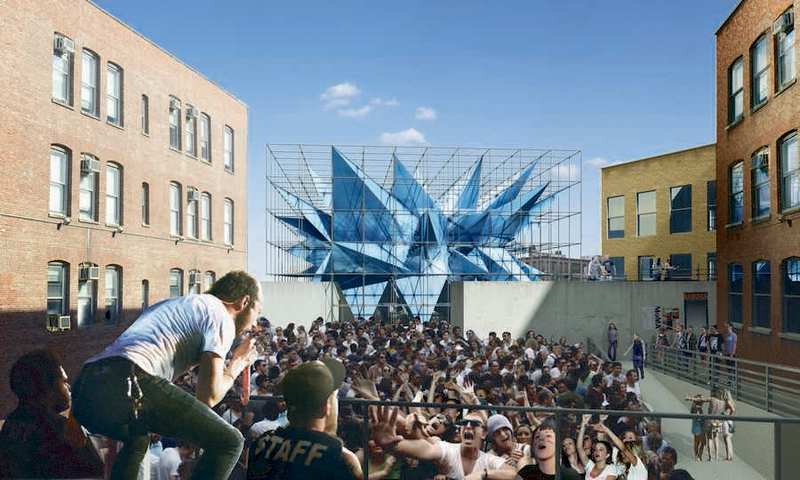 The winning design by Jenny E. Sabin (Ithaca) will be on view at MoMA PS1 during the summer 2017. 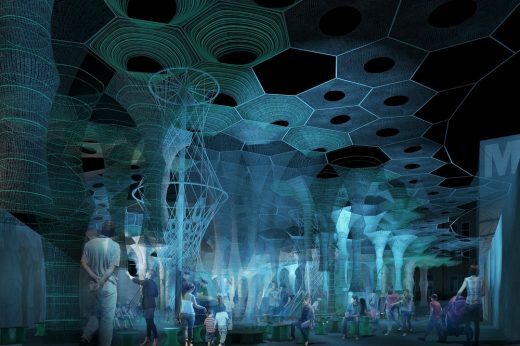 Lumen by Jenny Sabin Studio has been named the winner of The Museum of Modern Art and MoMA PS1’s annual Young Architects Program. 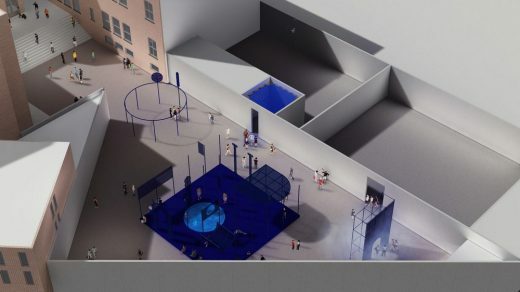 Opening on June 29 in the MoMA PS1 courtyard, this year’s construction is an immersive design that evolves over the course of a day, providing a cooling respite from the midday sun and a responsive glowing light after sundown. 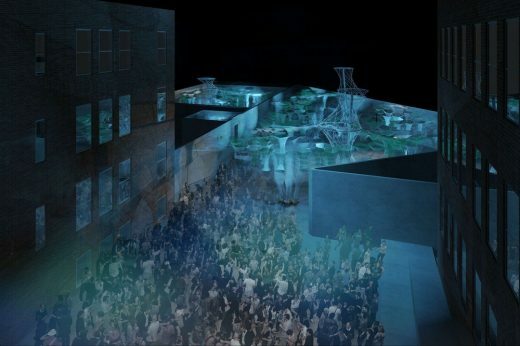 Drawn from among five finalists, Jenny Sabin Studio’s Lumen will serve as a temporary urban landscape for the 20th season of Warm Up, MoMA PS1’s pioneering outdoor music series. 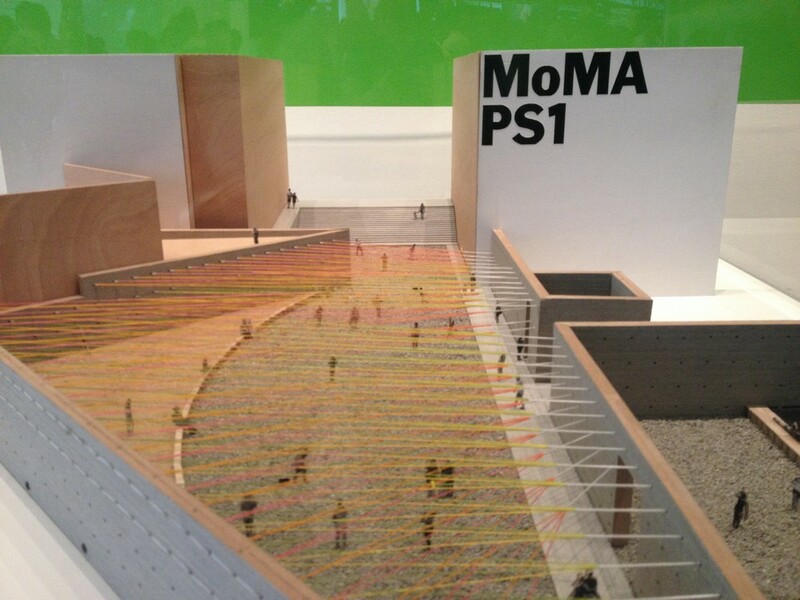 Lumen will remain on view through the summer. 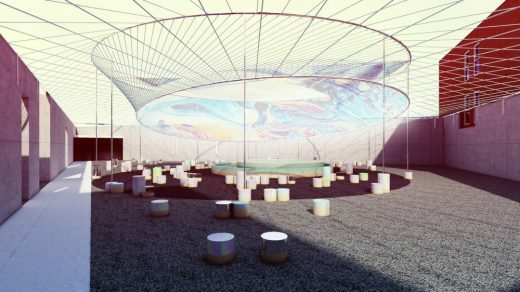 Made of responsive tubular structures in a lightweight knitted fabric, Lumen features a canopy of recycled, photo-luminescent, and solar active textiles that absorb, collect, and deliver light. 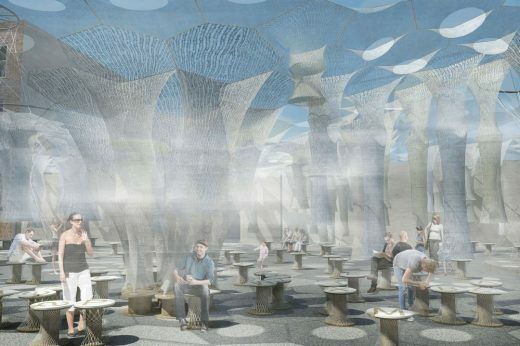 A misting system responds to visitors’ proximity, activating fabric stalactites that produce a refreshing micro-climate. 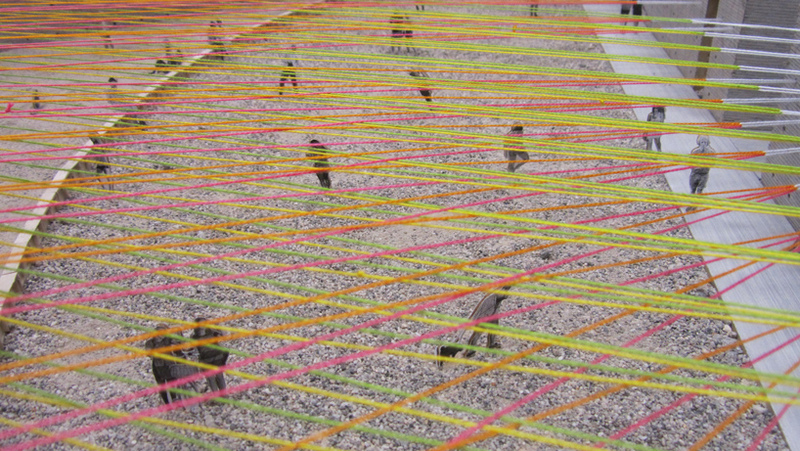 Socially and environmentally responsive, Lumen’s multisensory environment is inspired by collective levity, play, and interaction as the structure and materials transform throughout the day and night, adapting to the densities of bodies, heat, and sunlight. The other finalists for this year’s MoMA PS1 Young Architects Program were Bureau Spectacular (Jimenez Lai and Joanna Grant), Ania Jaworska, Office of III (Sean Canty, Ryan Golenberg and Stephanie Lin), and SCHAUM/SHIEH (Rosalyne Shieh and Troy Schaum). 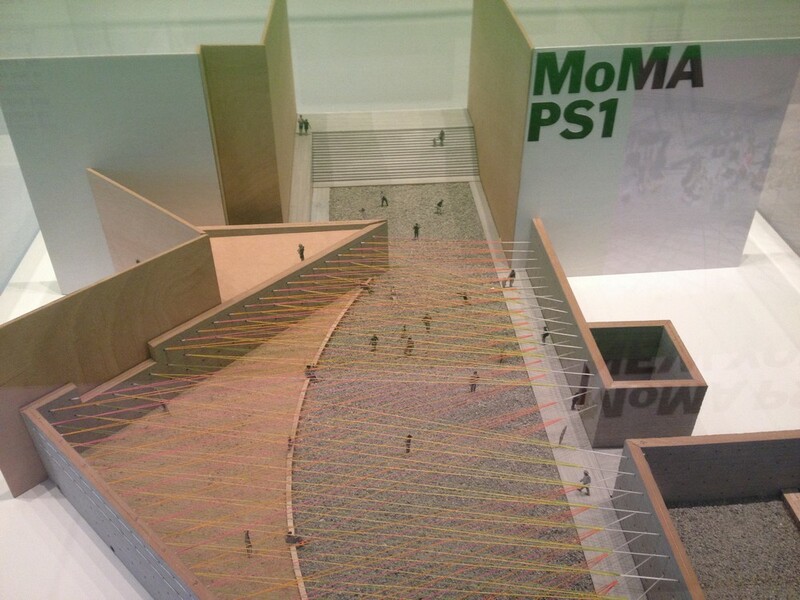 An exhibition of the five finalists’ proposed projects will be on view at The Museum of Modern Art over the summer, organized by Sean Anderson, Associate Curator, with Arièle Dionne-Krosnick, Curatorial Assistant, Department of Architecture and Design, The Museum of Modern Art. 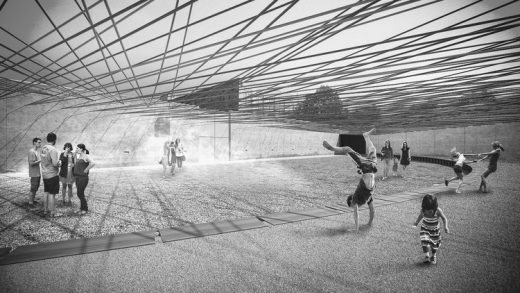 The exhibition is organized by Sean Anderson, Associate Curator, with Arièle Dionne-Krosnick, Curatorial Assistant, Department of Architecture and Design. The 2017 Young Architects Program is sponsored by Bloomberg Philanthropies. – SCHAUM/SCHIEH (Houston) led by Rosalyne Shieh and Troy Schaum. 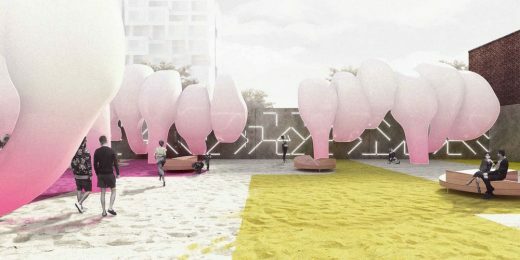 The finalists are chosen from 30 firms comprised of students, recent architectural school graduates, and established architects using experimental forms or techniques selected by deans of architecture schools and editors of architecture publications. 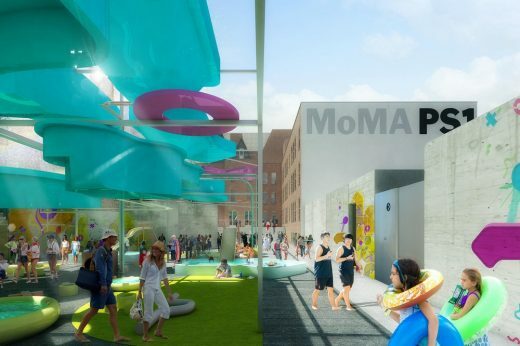 The panel for 2017 included Glenn D. Lowry, director of MoMA; Klaus Biesenbach, director of MoMA PS1; Barry Bergdoll; and Levent Çalıkoğlu, director of Istanbul Modern.